Suspended Senator Patrick Brazeau and retired senator Mac Harb have been formally charged by the RCMP for their alleged roles in the Senate expenses scandal. Suspended Senator Patrick Brazeau and retired senator Mac Harb have been formally charged by the RCMP with one count each of fraud and breach of trust related to inappropriate Senate expense claims. RCMP Assistant Commissioner Gilles Michaud announced the charges at a news conference at about 11:10 am ET Tuesday. "The RCMP has proceeded to charge Mr. Brazeau and Mr. Harb with one count each of breach of trust and fraud under sections 122 and 380 of the Criminal Code, " Michaud said. "Both Mr. Brazeau and Mr. Harb will be appearing in court at a later date." The Mounties allege Brazeau and Harb defrauded taxpayers by claiming travel and living expenses to which they were not entitled. Brazeau was suspended from the Senate in October along with onetime fellow Conservative Senators Mike Duffy and Pamela Wallin. The three former Conservatives were suspended without pay following an outside audit of their expenses. Harb, who was a Liberal senator until his spending came under scrutiny through an external audit,​ retired in August after paying back $231,000. Both Brazeau and Harb, along with Mike Duffy and Pamela Wallin, were subject to a lengthy Senate investigation of their expenses claims and living allowances. A Senate committee determined each of the four had claimed tens of thousands of dollars in expenses that they were not entitled to. The Senate then passed its files to the RCMP. The charges expected Tuesday against Brazeau and Harb are the first to flow from the RCMP's own lengthy investigation of the spending scandal, underway since May 2013. The NDP's Charlie Angus said the criminal charges ushered in a "sobering day" in Canadian political life. In March 2013, the RCMP’s National Division began its investigations into Senator Patrick Brazeau and former senator Mac Harb’s housing and living expenses. Today, I would like to share the results of these investigations with Canadians. The RCMP has proceeded to charge Mr. Brazeau and Mr. Harb with one count each of breach of trust and fraud under sections 122 and 380 of the Criminal Code. Both Mr. Brazeau and Mr. Harb will be appearing in court at a later date. Canadians expect the RCMP to be exhaustive and unbiased in our investigations. From the Information to Obtain production orders, made public by the courts, you can see the detailed work that has gone into these files. In filing these ITOs, the RCMP followed case law and determined that there were insufficient grounds to satisfy the conditions required to seal them. In some of these ITOs, the RCMP referenced that Mr. Harb had potentially committed mortgage fraud. Upon completion of our investigation, we concluded that the evidence gathered did not support these allegations. These investigations were detailed and involved the careful consideration and examination of evidence. Our investigators interviewed dozens of individuals and witnesses. As is typical with any investigation, we also reviewed and analyzed thousands of documents, including financial statements, bank records and expense claims, which dated back to 2003. All cases are unique and the time it takes to complete them is based on many factors. National Division has undertaken these files with diligence and professionalism. I can assure you that we continue our work on other significant files. RCMP investigators continue to explore multiple leads to ascertain all the facts and collect evidence in support of these facts. We will update Canadians when our work is completed. "It raises questions about the political judgment of the prime minister of this country who appointed Patrick Brazeau despite numerous red flags being raised about him. It raises questions about the judgment of Mr. Trudeau who said that Mac Harb had merely made an honest mistake at a time when the allegations around his financial dealings were getting more and more serious," Angus told reporters. "It raises many questions though about the Senate and the fact that we have an unelected, unaccountable body with people being charged with criminal offences." In question period, Prime Minister Stephen Harper praised the RCMP for laying charges in the expenses affair. "We expect all parliamentarians to respect the rules and respect the law, and if not there will be consequences," Harper said. "This is what we would expect, the RCMP has the full authority to conduct these investigations and to hold anybody who does not respect the rules or the law responsible, that is what is being done ... and of course they will get full co-operation form the government." The Senate's internal economy committee ordered Brazeau, Harb, Duffy and Wallin to repay their alleged improper expenses: Brazeau to the tune of nearly $50,000 and Harb to more than $230,000. Neither has admitted any wrongdoing, and both have mounted spirited campaigns in their own defence. Until he was suspended from the Senate last year, Brazeau had faced a 20 per cent garnishment of his salary. It's now not clear how or if Brazeau has continued to repay what the Senate says he owes. Harb, on the other hand, repaid the entire amount in May and subsequently retired from the Senate. He now collects a Senate pension. On Tuesday, Harb's lawyer Sean May said Harb will respond to "any and all allegations." "It's disappointing that charges are being laid," May said. "He's going to be prepared to respond in court and he looks forward to that." Other sources tell CBC News that Harb will plead not guilty. Harb has long said he broke no rules and did nothing wrong. At the end of November, Brazeau appeared on CBC Radio's The House. Back then, Brazeau said he would have preferred to have been charged so that he could offer an answer to the allegations that have swirled around him for months. "I know I didn't claim inappropriate expenses whatsoever, so if there are going to be charges, then bring them on and I'll defend myself," he said. At the centre of the allegations against both men is an alleged pattern of behaviour that saw taxpayers pay expenses for travel to Ottawa and to pay for so-called secondary residences in the National Capital region. In both cases, the Senate, and now the RCMP allege the secondary residences were in fact the primary homes of Brazeau and Harb. It's alleged Brazeau didn't actually live in Maniwaki as he claimed he did in order to qualify for the expenses. Harb is accused of a similar set of facts. It wasn't until the longtime Ottawa resident and former city councillor was appointed to the Senate that Harb bought a house near Cobden, Ont., just on the other side of the 100-kilometre travel cutoff. If Harb had been any closer to the capital, he would not have qualified for reimbursement. RCMP have alleged Harb never actually lived in that Cobden house, and neighbours have told CBC News they rarely ever saw Harb in the area. In court documents the RCMP also alleged Harb had committed mortgage fraud in relation to his sale of 99 per cent of that house to a diplomat from Brunei. But today, the RCMP backed away from those allegations. "Upon the conclusion of the investigation, we determined that the evidence gathered did not support these allegations," Michaud said at the news conference. The RCMP have made similar allegations against former Conservative senators Mike Duffy and Pamela Wallin, though no charges have yet been laid. The investigation of Duffy's expenses is complicated by the existence of other allegations that Prime Minister Stephen Harper's former chief of staff had bribed Duffy by giving him a $90,000 cheque to repay his expenses. In the case of Pamela Wallin, although the Senate has been questioning her expenses for longer than Duffy, Brazeau or Harb, the Senate's investigation did not conclude until August and that's when the RCMP were finally handed the file. "I can assure you that we continue our work on other significant files," Michaud told reporters. "RCMP investigators continue to explore multiple leads to ascertain all the facts and collect the evidence in support of these facts. We will update Canadians when our work is completed." The assistant commissioner also appeared to offer a defence of the RCMP's management of its investigative file. 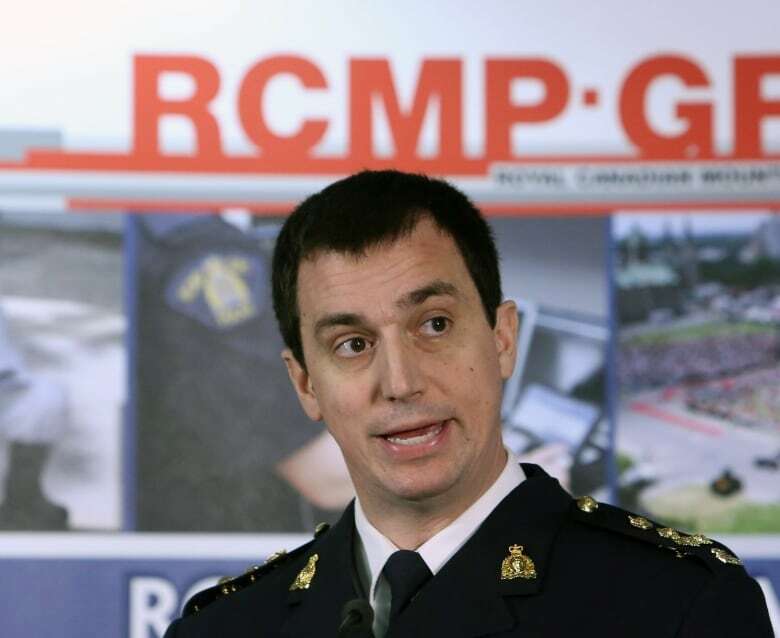 There have been criticisms of the manner in which the RCMP filed certain court documents in support of its searches and seizures called Informations to Obtain, or ITOs. Those ITOs laid out the lurid details of the RCMP's best, or most serious allegations against Harb, Brazeau, Duffy, Wallin and Wright. But, as Michaud admitted about Harb and that claim of mortgage fraud, the allegations in ITOs can sometimes be overstatements, or, simply fanciful. In many cases, ITOs are kept sealed by the court, in order to protect investigations, but also to protect reputations in case charges never arrive. "In filing these ITOs, the RCMP followed case law and determined that there were insufficient grounds to satisfy the conditions required to seal them," Michaud said.